To get to the heart of Matt Martin, the heart and soul of the Islanders for every minute of his seven seasons with the team, you need to know what he’s thinking about as he prepares to play his first game against his old team Sunday night at Barclays Center. “Some guys might want their old teams to fail, I guess,” he told Newsday in a phone conversation from Montreal, where his Maple Leafs faced the Canadiens on Saturday night before flying down to New York for Sunday night’s emotional return. “I’m not that way. These guys are all my friends still. I want to see them succeed in the worst way. Outside of John Tavares, there was no more popular Islander than Martin. Some of it had to do with his work on the ice; he led the NHL in hits in the previous five seasons and did a lot of the gritty work his teammates and the fans always appreciated. Some of it came from his work off the ice, where the 27-year-old from Windsor, Ontario, dived into the community headfirst. 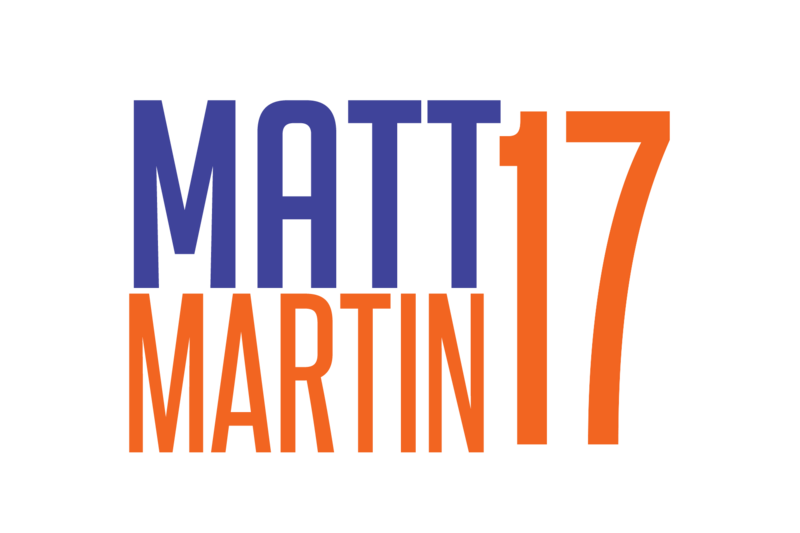 He started the Matt Martin Foundation to support a variety of causes, including fighting cystic fibrosis and helping the spouses and children of fallen policemen and firefighters. That he ended up meeting and falling for Sydney Esiason — daughter of Boomer, perhaps the Island’s most visible sports personality — should be no surprise. With all that popularity inside and outside the locker room, Martin could have been bitter that Islanders general manager Garth Snow decided to let the popular winger leave for Toronto and the $10 million over four years the Maple Leafs offered on July 1. The adjustment period is ongoing for Martin, as it has been for the team he left. The Leafs entered Saturday night’s game 2-2-3, a respectable enough start for a team that hasn’t made the playoffs in three years and one that features Auston Matthews, one of the game’s bright new stars. Martin arrived on the Island late in the 2009-10 season, which also was Tavares’ first year. He had two assists in his NHL debut and his first fight a night later against the Penguins. Over the years, there were plenty of fights (67) and a few goals (42) in 438 games, 34th on the franchise’s games- played list. And he morphed from an enforcer into a big part of the Islanders’ successful fourth line, alongside Cizikas and Cal Clutterbuck. Martin had 26 of his 42 goals the past three seasons after Capuano put that line together. The week leading up to Sunday has brought a new reminder each day of his return. He got tweets and texts telling him that MSG Network teased his return by showing the top five moments in his Islanders career in Thursday’s telecast.